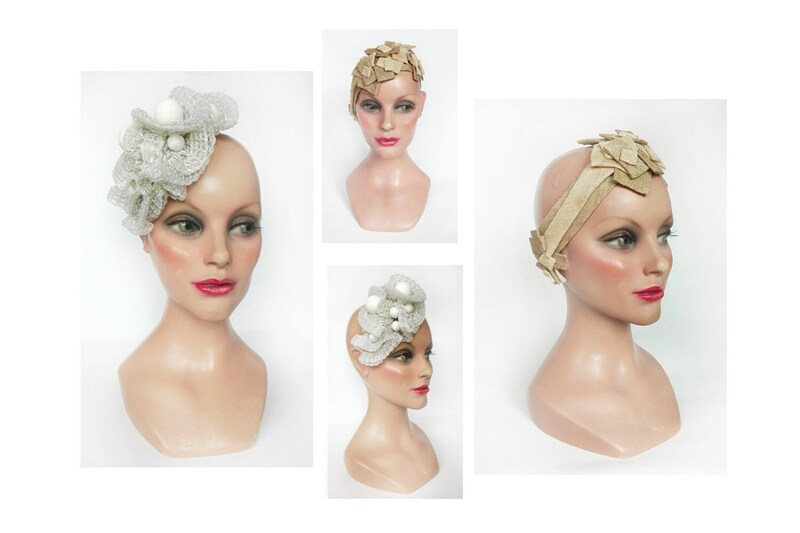 For the white version: small hat for bridal hairstyle, made of white tubular horsehair and very light pearls also white with presence of a glitter reflection. For the beige version: I present this headband made of natural straw Lese in different shades of beige. The support is made by a black elastic and it corresponds to a head circumference of 55-56-57 cm. You can wear it in different ways, according to your desires because, there is no predefined meaning. Retro-inspired 1900, smart revised and updated, perfect to be in time and passed on many occasions, for a wedding, a nostalgic daily, engagement, cocktail... or gift for a loved one suggestion. All caps on the site are unique and is sent with tracking number.